On January 25, the Vermont Symphony Orchestra voted to unionize. The Boston Musicians Association, which is the Boston local of the American Federation of Musicians, will represent the orchestra. In negotiations, the VSO will be collaboratively represented by BMA and the Greater Springfield, Berkshire County and Vermont Musicians Association — the geographically nearest AFM local, in Springfield, Mass. The move is a little belated by orchestra-world standards. The country’s top 60 orchestras had all organized by the 2008 recession. Since then a majority of regional orchestras have also unionized. The BMA already represents a number of orchestras that range from the salaried Boston Symphony Orchestra to smaller, per-service orchestras — whose musicians are paid per concert — such as Portland Symphony in Maine and Cape Symphony in Cape Cod, Mass. The latter two are comparable in size to the VSO, which is also per-service. “This industry is really highly under union umbrellas,” said BMA vice president Bob Couture. According to Couture, the VSO needed a 51 percent vote to unionize but the tally came in much higher: 59 in favor and 10 against. The VSO’s musicians committee initiated the vote and will decide which issues are to be addressed in a first contract. The committee consists of chair and principal oboist Nancy Dimock, violinist Hilary Hatch, second flutist Anne Janson, principal horn player Sheleigh Abate and principal trumpet player Mark Emery. Of the five, only Hatch, of Leicester, and Janson, of Ferrisburgh, live in Vermont. The others live in Massachusetts or New York. 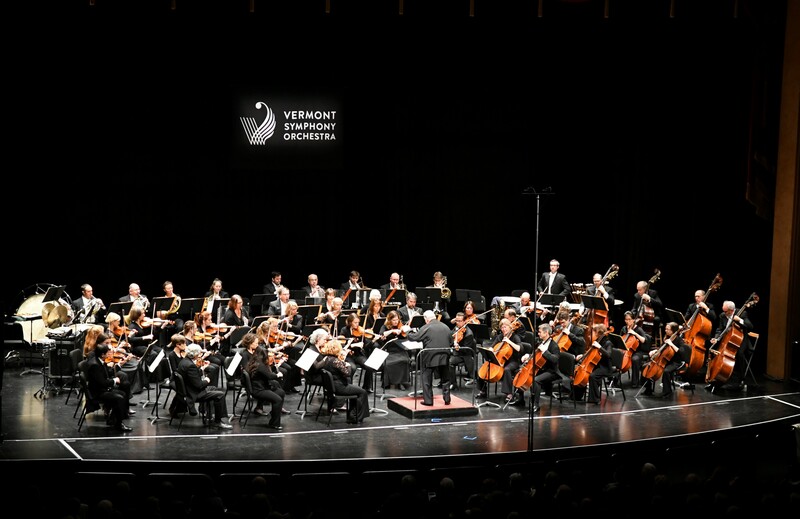 In fact, about half of the VSO’s players live outside Vermont — a result of the orchestra’s policy of holding widely advertised auditions, according to executive director Ben Cadwallader. Many are union members through their other jobs. Why hadn’t the VSO unionized before? Seven Days spoke to several musicians who noted that there was already good communication between the musicians and the management and board. What may have tipped the scales, however, was the decision by Cadwallader and the board to cut one of this season’s traditional five Masterworks concerts. Historically, the December Masterworks has never done well because it competes with the VSO’s Holiday Pops concert as well as holiday offerings around the region. That was “hard,” said Langfur of the cut, “even though we understood the objective necessity of it.” The fifth Masterworks concert will return next season in a different time slot. Cadwallader says he regrets not involving the musicians in that discussion. “I learned a lesson,” he said. At the same time, the director is not surprised that the musicians opted to organize. “Unionization and a music-director change — those are the two things I knew would happen [during my tenure],” Cadwallader explained. Any formal process of auditioning potential replacements for current music director Jaime Laredo is still years away. Cadwallader also insisted that conflicts such as strikes are not a worry. “Folding orchestras, freezing salaries — it’s not happening as much as it was in the years after the recession," he said. He added, "Overall, there is a spirit of recovery” in the orchestra world. However, in September 2016, the Fort Worth Symphony Orchestra, Pittsburgh Symphony Orchestra and Philadelphia Orchestra all went on strike. Still, Langfur said it’s a good time to unionize because it’s “a time of changes” at the VSO. “Ben was hired [in 2015], the board seems to be taking a more active role, they’re making targeted changes to how the VSO is going to grow," said the trombonist. "We just wanted to have an effective voice in that process."